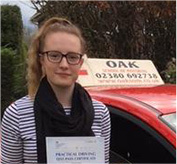 Oak School of Motoring Ltd is a well established family run driving school offering manual and automatic driving lessons, who have been helping people learn to drive since 2000. 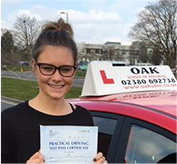 We are based in Fair Oak but cover the whole of Southampton and the surrounding area. We have male and female Instructors and all training is professional, friendly and they use a flexible teaching style so lessons can be tailored to individual needs. 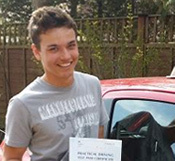 We offer local pick ups to and from local colleges or from home or work. 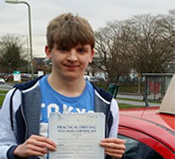 Our instructors can help you with the theory and hazard perception part of the exam. 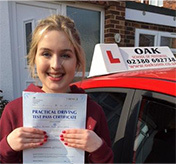 NOW COVERING WHITELEY, WARSASH, TITCHFIELD, STUBBINGTON & WINCHESTER! REFRESHER LESSONS Ideal way to give you little bit of confidence. PASS PLUS To develop safe skills that are essential. INSTRUCTOR TRAINING Looking for a new career? COMPLETE BEGINNER Our beginners guide to your first lesson.